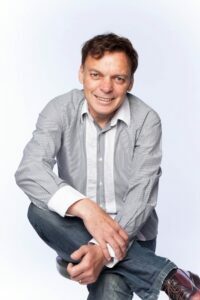 Graeme Simsion is a former DBA, data modeller and consultancy manager who in the last seven years has made a career change to screenwriter and best-selling novelist. He is the author of Data Modeling Essentials (now in its 3rd edition) and Data Modeling Theory and Practice and conducted the largest published study of data modeling practice for his PhD, completed in 2007. His first novel, The Rosie Project, has sold approximately 2 million copies worldwide.